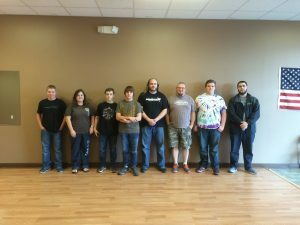 On Saturday, November 5th my dojo, Spirit Made Steel Martial Arts, will be hosting its fourth annual Extra Life charity event. Extra Life 2016 will be our biggest Extra Life ever! We’ll be playing games for 24 hours – from 8AM Saturday to 8AM Sunday – and raising money for Children’s Miracle Network Hospitals. For those of you who don’t know, Children’s Miracle Network pays for life saving treatment for terminally ill children who otherwise couldn’t afford to pay. That’s right – your donations will literally help save the lives of children. If you’re in the north Alabama area, please consider coming out to join us. You don’t even have to play all 24 hours – although you’re certainly welcome to! You can drop in for as much or as little gaming as you like. 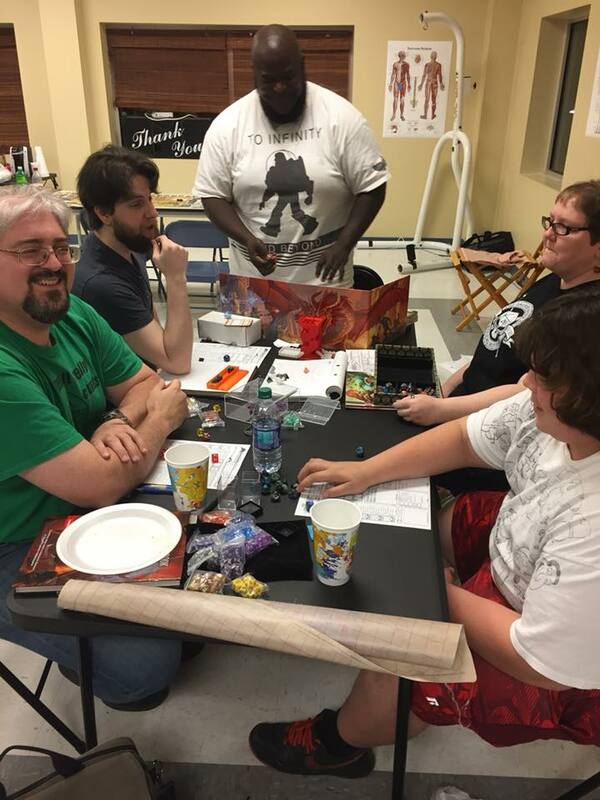 We’ll have board games, card games, tabletop role playing, the official Extra Life at Spirit Made Steel 10′ screen awesome projector of awesome, modern game consoles, PC gaming, classic game consoles, a home brew multi-game arcade system, and the Virtual Reality Corner! Don’t see a game you want to play? Please feel free to bring your own! 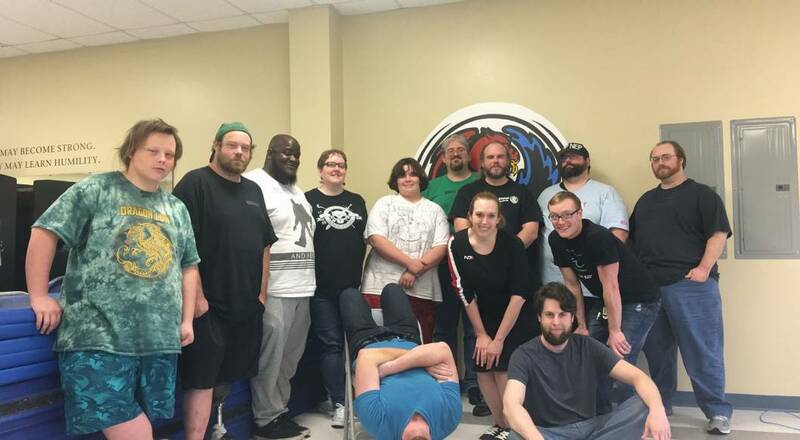 The 2015 Extra Life All-Nighter Crew! Last year we had 55 participants, and eight of us stayed for the entire 24-hour marathon. This year we expect even more people and even more fun. We also have representatives from Steve Jackson Games and Foresight Games on hand, among others. What’s more, I just might have a few free Steam keys for Oxide Games‘ Ashes of the Singularity to give away. You can help us with the fundraising in three ways. Join our official Extra Life team and gather donations of your own! Most of us are playing for Children’s of Alabama Hospital in Birmingham, the nearest Children’s Miracle Network Hospital to us. But feel free to play for any other hospital! Not local to Alabama? That’s ok – join our team anyway and even play from home if you like! Donate to myself or one of my teammates and help us meet our fundraising goals! Clearly this is the easiest solution for those of you who don’t live nearby! Come join us at our Extra Life 2016 event and play and leave a donation at the door! Clearly the most fun option! We’re asking for a minimum donation of $15 – but looking at everything we have to offer this year, trust me, it’ll be worth it! But since 100% of the funds go straight to pay for treatment, why not donate more? You can find more details on the Spirit Made Steel website or on our Extra Life Facebook group.